Here, some basic tips to cut costs this holiday season without feeling like Scrooge. The holidays are here … along with the high costs and expectations. We’ve got some basic tips to make the “season of giving” a memorable one without blowing the budget. 1. Make a list (and check it twice): It’s good advice any time of year — develop a budget and stick to it. Start by making a list of holiday expenses (like food, travel and gifts) so you can estimate your costs. Next, devise a plan to cover them — preferably without going into debt. Put the plan in writing to keep spending — and expectations! — in check. 2. Set limits: Whom to buy for and how much to spend can be touchy subjects, but now is the time to have some frank conversations. Is it time to buy for the kids only, draw names out of a hat or go with a theme like “gag gifts”? Should you put a cap on spending, or have a “buy nothing” celebration? Chances are friends and family members are also feeling the pinch and may be more open to alternatives this year. 3. Plan early: Many people rely on credit cards to see them through the holidays, then end up compounding the problem with interest charges (pun intended). Rather than sacrificing in January, start cutting back on non-essentials now and put money aside for the holidays. 4. Pay cash: It’s a great visual reminder to spend smart and avoid impulse buying. Some research shows that when we pay cash we often spend less and put more thought into decisions. If you’re buying big ticket items, ask the store if they offer a discount for paying cash or debit. Some stores offer a modest discount to avoid paying fees to credit card companies. 5. Shop online: If you’re shopping for someone across the country or across the globe, retailers can often ship items for less than it would cost you at the post office. You can also bypass customs and other aggravations by ordering through the local version of a company. In many cases shipping for orders over a certain dollar amount is free, especially if the receiver has the option to pick up the item from the store instead of home delivery. 6. Give experiences: We’ve all seen the research — memories often mean more to us in the long run than “stuff”. It may sound trite, but sometimes the perfect gift is time with loved ones. For example, have a holiday brunch with friends, take a day trip with the children in your life or have a do-it-yourself spa date with a loved one in a nursing home. 7. Offer services: You can’t put a price tag on an evening of baby-sitting, cooking lessons, gardening help or handyman services, but they can be invaluable to someone who wants them. If you’re going the services or experience route, remember two key points: presentation and follow-up . Print up a fancy certificate for the gift, and after the holiday chaos wanes call your recipient and set up a date. 8. Use your rewards: Are you amassing points on your rewards cards? Now is the time to cash them in. In many cases, you can use them to buy items or gift cards from a variety of retailers. If you don’t feel comfortable using rewards to purchase gifts, use them to offset other holiday-related costs like groceries and travel. 9. Follow the bargains: Why pay full price when there are bound to be sales? Once you’ve got some gift ideas in mind, start clipping coupons and checking online for deals and discounts. 10. Use a gift card: Re-gifting is a controversial topic for many people, but surveys should many people have one or more unused gift cards kicking around. Why not use them to purchase gifts or other necessities? For added protection when shopping online, purchase a gift card in store and use it in lieu of a credit card. Note: If you’re going to use rewards points or gift cards, find out what the return policy is before you buy. Make sure the recipient can return items for cash or store credit. 11. Exchange gifts in January: It’s no secret that after-Christmas shopping offers huge discounts. Have your holiday get-together after Christmas, and make it a challenge to see who can find the best deals. 12. Barter: Not everyone has the time or skills to make unique homemade gifts, but you might find a wealth of talent among your family and friends. Try swapping skills — like trading some homemade baking for a piece of handmade jewellery. If you’ve got skills to offer, you can even make a little cash by offering goods for sale through websites like Etsy.com. 13. Shop your own closet: You’ve heard this maxim for fashion, but it works for decorations and linens too. Take stock of what you’ve got before you hit the stores so you can identify needs versus wants — and plan your spending accordingly. 14. Borrow: Before you run out and buy a must-have item for your dinner party or a new holiday outfit, see if you can borrow the item instead. A thank you card will cost you less than purchasing something you’ll rarely use. 15. Find new uses for decorations: We like to update our décor, but that doesn’t mean we can’t use what we have on hand. You can make attractive decorations using items from nature (like pine cones, cranberries and pine bows), or find new and creative uses for items you already have. For example, fill a glass bowl with coloured balls for a centre piece rather than hanging on them on a tree, or break up silk flower arrangements and use them on wreathes. 16. Buy classic: If you have to buy new items for your home or wardrobe, don’t fall into the trap of spending the most on the pieces you use the least. Purchase classic items that you can use outside of the holiday season. For instance, snowman-themed decorations last all winter, and clothing without the holiday trimmings can be worn multiple seasons. 17. Book now: The holiday season is one of the busiest times of year for travel. Because demand is up, companies don’t have to offer deep discounts to fill seats — and they often implement black-out dates for promotions or rewards redemption. If you want a deal on travel, experts warn your best bet is to book early. With the inevitable disruptions of health and weather, make sure you understand how and if you can refund or exchange your tickets to avoid costly fees, or look into trip cancellation insurance. 18. Budget for donations: With so many fundraisers this time of year, all those dollars you spend “here and there” can really add up. You might also be giving to scams, or missing your favourite causes. Take a few minutes to create a budget for charitable donations this season, and figure out how to distribute your money. Next year, try making your donations throughout the year rather than waiting until the holiday budget crunch. 19. Create a meal plan: All that rich food can be tempting — and a risk to our waistline as well as our bottom line. Worse yet, holiday food often goes in the trash because there isn’t a plan to deal with leftovers. Having a meal plan — and sticking to the grocery list — helps dodge impulse buying on pricey goodies and prevents waste. 20. Just say no: Don’t let the “Christmas spirit” pressure you into spending more or doing more than you can handle. Be polite, but be honest if you have to turn someone down. If you’re not sure, say you’ll think about it first and give yourself a deadline to make a decision. Overall, saving money during the holiday season doesn’t have to mean sacrifices. 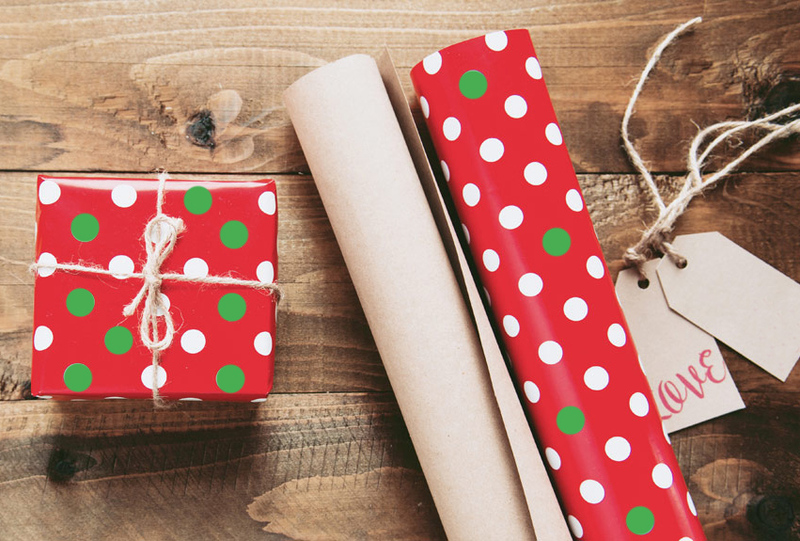 Start early and keep these tips in mind to balance your budget with the holiday spirit.